HYDE to Remake "HALLOWEEN PARTY" with HALLOWEEN DOLLS | VKH Press – J-Rock & Visual Kei Coverage Worldwide! 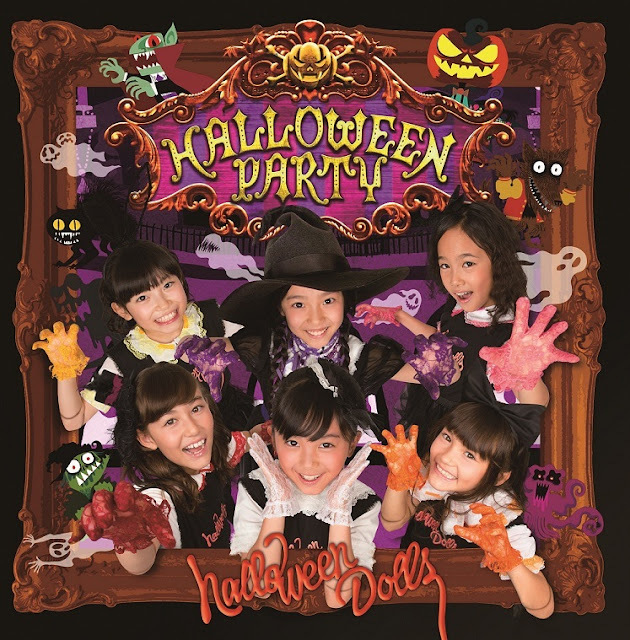 The theme for VAMPS's Halloween party, Halloween Party, was released back in 2012 by HALLOWEEN JUNKY ORCHESTRA, a group created by the rock-duo. However recently, HYDE re-produced this theme with a new cute unit called HALLOWEEN DOLLS. HALLOWEEN DOLLS is a unit consisting of 15 vocalists and 5 dancers from the elementary school level including 9 year old child actress Konomi Watanabe who has starred in various dramas and has won the rookie actor award in 2012 during the 35th Japan Academy Awards. The single will be on sale October 7 for 1600 yen. The single will come with a CD with 2 songs, and a DVD with the MV and dance shot.